Free Point and Click Adventure Games, RPG Adventure Flash Games, and Puzzle Adventure Games. Crazy Dad's relaxing vacation is in jeopordy. The restaurant across the street has installed a giant blinking neon sign. Find your way out of the lunar escape module by unlocking the doors. Complete each level by solving puzzles. Become immersed inside a strange bio-tech laboratory experiment. Find clues and solve puzzles to open the exit. Find your way out of the dilapidated house by finding keys and uncovering clues. Point and click escape. Jump into the Targis and time travel to familiar locations based on the Doctor Who television series. Fan made. Scan the game with your mouse to find clues and items needed to uncover the secret meetings of the Dark Order. The Temple carries the player further into the Submachine universe which answers questions by asking questions. Something has crashed into the arctic research base where you are stationed. Explore the facility and try to keep warm. Make decisions by using Henry's super stickman abilities to escape the prison, and defy the laws of physics. Use your problem solving skills to piece together the cryptic fragments from scribbled notes to solve abstract puzzles. Tradda has been commisioned on a mission to bring peace to the land. Meet adventures to begin the journey. Find and put the pieces of the family picture back together by searching the house and solving puzzles. Embark on a quest as a brave adventurer. Explore the land and help the townsfolk. Build up equipment. Embark on a mission to find the other splitters to try and figure out how to bring their split universes back together. Kaptive has been teleported through a portal into another realm where its citizens await the arrival of a mystic warrior. Join the God of Strength and train in the ways of the light to embark on a sacred journey to eliminate evil in the world. You discover that you are the only human in a land of robots, and taking directions from an entity on the telephone. Journey across the land. Build your army by hiring classes of soldiers, archers, mercenaries, mages, and warriors. Take down an evil empire as a deadly assassin in this adventure game. Your main attack is a stealth attack. Lift the curse placed on you by fighting monsters, zombies, skeletons and other horrors in this adventure RPG. A very long time ago Lethal was left for dead by the king and kingdom he fought to protect from the undead. Help Albert the alien escape Area 51 and mean scientists by solving puzzles one room at a time. Piece together the solution for getting outside safely by finding and using various objects within the bunker. Although simplistic in its gameplay, its surreal graphics and memorable score make the game stand out. Take on the role of a scientist in search of the mythical city of Hetherdale hidden deep within the jungles of Africa. Guide Sam on his quest to survive in the harsh stoneage environment by solving puzzles and completing tasks. Old-school adventure game that is sure to bring back lots of memories from the early computer game era. First game in the popular Submachine series. Third game in the popular Submachine series. This classic episode in the submachine series focuses on an ancient adventure deep underground. Help Sherlock solve the case by determining who the murderer is, which weapon was used, and the location. Investigate zombie related crimes as an undead detective. Combine evidence into possible solutions. Follow the clues and scan the background with the mouse to find the required items. Creative puzzle interactions. Use the portal to access different parts of the lab to complete surreal objectives in this point and click adventure. Begin an adventure with Murk in this upgraded version of Murloc RPG. Help friends gain items, open the portal. Explore the ancient tomb to discover its hidden secrets. Solve puzzles by finding and using the correct items. Kaptive is still stuck in the outer realm where he awaits his freedom and reward. Find quest items for keys. Battle as a sorcerer, archer, or warrior in this Diablo style RPG adventure game. Daniel's universe has split. Traverse two parallel worlds by using the mirrors in his house and solving this mystery. Fight on behalf of the king to defeat a rebellious uprising. Freedom and treasure await a successful mission. Help the robotic character restore power to the rest of the world and help his fellow citizens regain their livelihood. Train Sinjad as a balanced fighter, warrior, spellcaster, or ninja. Build up weapons, armor, relics, and skills. Engage in a world on the edge of reality and illusion. Solve puzzles and find both halves of the master key. Take revenge for the death of your friend Captain Beef. Roam a scary castle and defeat your enemies. Traverse diverse areas of land and geography including cities, towns with inns, shops, and interactive inhabitants. Raise money to return to your home village by completing search quests in this fetch game. You are a lone warrior fighting for vengeance in this RPG. Be a Skyborn, Executioner, Sage or Soul Hunter. The sky is ablaze and the dead have risen, Gazzen is now escaping, you must go after him. Guide the alien death slug through new scenarios with multiple outcomes in this point and click adventure game. Embark on a new adventure as a Barbarian, Shaman, or a Scout in this RPG sequel. Its been 15 years since your ship wrecked, and its time to do something with your undead self. Explore a maze of steel hatches in a cliff-side bunker. The puzzles can be challenging at times. Strange and original story based game where you take on the role of a mysterious sea creature. After making your way out of the fallout bunker you find that the outside world has changed in strange ways. Games that cross cultural boundries deserve further recognition. 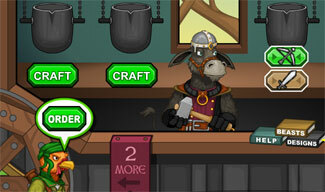 Production quality and attention to detail rarely seen in a flash game. Second game in the popular Submachine series. Fourth game in the popular Submachine series. Reclaim the Omamori and return it to the caves of Kami point and click adventure. A tour into the depths of the earth goes horribly wrong when unexpected creatures arise from the darkness. RPG adventure game. A lone fighter on a quest to discover the secret behind an ancient artifact. 3D graphical adventure released for halloween. You must escape this ghost house while collecting evidence.